They show up in bathrooms and around your kitchen sink. These build-ups are so annoying as scrubbing seems to do very little, and they are extremely unsightly that you really need to get rid of them as quickly as possible. Thankfully someone has discovered a foolproof way to get rid of this ugly stain buildup once and for all. And its quite easy to do. It actually doesnt have to do so much with scrubbing as it does with soaking. Basically you want to leave a vinegar-soaked towel on the hard water deposit areas. The vinegar works wonders as it breaks down the build-up. You just need about an hour worth of soak time. Then you wipe away and it actually comes off with relative ease! So forget all about going out and spending money on expensive cleaning agents, definitely give this a try first. Your kitchen and bathroom will take on a whole new look and shine when applying this vinegar soaking/scrubbing technique! Check out the video to learn exactly how to do it. Share this cool trick with all your friends and family! When Owen Reese Peterson went to the Department of Veterans Affairs in Talihina, Oklahoma, to get treatment for an infected wound, he never left. 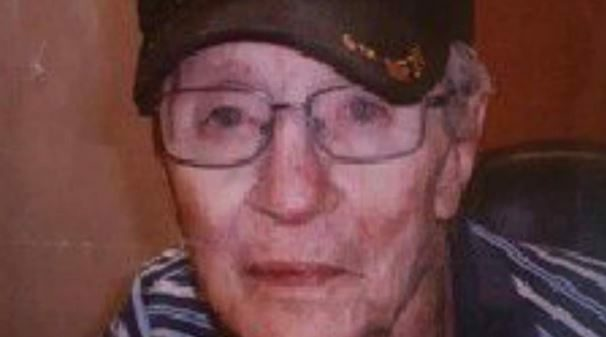 The 73-year-old veteran was there for at least three weeks, but he eventually died from sepsis, a life-threatening complication of an infection that can lead to tissue damage and organ failure. What's disturbing about his stay at the VA hospital is that before he died on October 3, maggots were found crawling all over his wound. Executive director Myles Deering said that Peterson did not die because of the maggots, but a physician's assistant and three nurses have resigned as a result. Peterson's son, Raymie Parker, says that his father wasn't getting the proper care he needed during his time at the facility. While he said that the nurses were great, he was far from impressed with the senior staff. Growing up, I watched a lot of television. (Like, a LOT.) I gravitated toward the types of shows withstorylines centered on relationships. What can I say? I’m a sucker for love. These shows always seemed to feature a female leaddating a war veteran.And though intoxicating to my younger self, these storylines had a problem: They were all extremely limited. They only showed a one-dimensional portrait of what it’s like to date someone who’s been through a literal war. I learned firsthand that dating a veteran is anything but one-dimensional when I fell in love with an Iraq War vet.Itdoesn’t only entail waiting for someone to triumphantly come home after cycling through deployments. Hell, it’s about more than just going through war. It’s about the 250,000 service members whoare transitioning back to civilian life each year reuniting with their families, trying to find jobs and starting their lives again. It’s about commitment, both the commitment of the relationshipand the commitment the vet has to his or her country. And for me, it was about trying to understand something I couldn’timagine. I gained the kind of perspective I never had before, and together we took onissues that can be deeply uncomfortable and are often brushed aside. I realized just how much people are willing to risk for their country. Most of us love our country and would consider ourselves patriotic. But when it comes to actually defending our nation? That’s where the patriotism of many falls short. When I dated a veteran, I loved someone who put everything on the line for America. Experiencing his sacrifice together made me appreciate our country that much more, but it also opened my eyes to the lack of options that lead some to the choice of military service. Their battles are physical and mental. When we think about the battles that veterans have fought, we mostly think about the physical ones. We think about combat, weapons, trenches all the trappings of war that most have only experienced through the lens of Hollywood films. But after the battlefield is in the rearview mirror, the scars left behind aren’t just on the surface. They plague a veteran’s mind. Consider post-traumatic stress disorder (PTSD), which affects a large number of vets.According to the Department of Veteran Affairs, nearly 30 percent of veterans of the Iraq and Afghanistan warstreated at VA hospitals and clinics have been diagnosed with PTSD. That's more than250,000 reported cases. When I waswith a veteran, I sawthe effects of PTSD firsthand.And PTSD is just one of the many pernicious afflictions that silently haunt so many veterans. It's okay to let someone not talk about it. When my significant other was dealing with an issue, it was my natural impulse to urge him to talk about it. But PTSD and other post-war problems that veterans routinely experience are not simple issues that you can talk about and magically solve. They often require professional help to work through, and not everyone is able to overcome the demons they face. Ilearned that it’s okay to let someone just be. It’s okay to let someone not talk about it. It’s okay to sit and live in the silence. Sometimes the only way I could relate was simply by being there. Ibecame a part of the veteran community. The bond that a veteran has with his or her fellow soldiersis unbreakable. I mean, it has to be, right? In order to head into combat with someone, you need to implicitly trust that person. This is your life at stake, as well as your country. I was welcomed into that community. I saw the perspective of many, not just my boyfriend’s, and I saw how they’re there for each other. It’s an exceptionally close group of people because each person has a fundamental understanding of what it means to go through something few otherscan comprehend. There are certain atrocities that most of us will never encounter. We hope we will never have to see someone die. We hope that we will never have a friend who commits suicide. These theoretical issues become real when you’re in a war. And as stories came to light in the span of my relationship, they felt more real than they did before. I’ve metpeople whose lives have been touched by things like homelessness and death, and the issues have become uniquelypersonal because of that. The transition back tocivilian life isn't easy. We hope that, when a veteran leaves the service, he or she will be welcomed back into society with open arms. But formanyveterans, transitioning back to civilian life is a struggle. According to the VA, morethan half of all post-9/11 veteranswill face a period of unemploymenteven as the national unemployment rate continues to decline. And when it comes to getting post-service benefits, things don’t look much better. As reported by the Military Times, despite ongoingimprovements,the VA was still sorting through75,000 backlogged disability claims at the end of 2015. This means that manyveterans need not only emotional support, but also financial support. It made me really grateful for what I have. When I was with someone who had been through a literal war, I couldn’t help but thinkabout the hardships that I’ve endured, and man, they just didn’t stack up. It doesn’t make my experiencesany less valuable, it’s just that I learned to appreciate the things I haven’t seen. The important thing I remembered through this realization is that I couldn’t feel guilty. I needed to maintain a healthy perspective. Because the other thing I was grateful for was this person I hadfallen in love with. I was grateful that he survived the war and came out the other side open to love. In this week’s episode of Secret Lives of Americans (Friday at 10.p.m. on Pivot), we meet Amber & Alex, who have been harboring a secret: they are buried in $50,000.00 of debt after being discharged from the Coast Guard for medical reasons. Find out how they changed the conversation about the transition back to civilian life by watching this video, and then visit the series’ Take Action hub to find out how you can get involved. The Simple Way To Remove Ugly Water Deposits On Your Faucets And Sinks…I’m Glad I Learned THIS! You know those hard water deposits that are totally stubborn to get rid of? The 73-year-old veteran was there for at least three weeks, but he eventually died from sepsis, a life-threatening complication of an infection that can lead to tissue damage and organ failure. What’s disturbing about his stay at the VA hospital is that before he died on October 3, maggots were found crawling all over his wound. Executive director Myles Deering said that Peterson did not die because of the maggots, but a physician’s assistant and three nurses have resigned as a result. Peterson’s son, Raymie Parker, says that his father wasn’t getting the proper care he needed during his time at the facility. While he said that the nurses were great, he was far from impressed with the senior staff. But after the battlefield is in the rearview mirror, the scars left behind aren’t just on the surface. They plague a veteran’s mind. Consider post-traumatic stress disorder (PTSD), which affects a large number of vets.According to the Department of Veteran Affairs, nearly 30 percent of veterans of the Iraq and Afghanistan warstreated at VA hospitals and clinics have been diagnosed with PTSD. That’s more than250,000 reported cases. It’s okay to let someone not talk about it. The transition back tocivilian life isn’t easy.